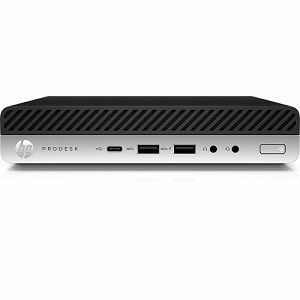 The HP ProDesk 600 G3 Mini Desktop matches your needs for business and work purposes. It is powered with Intel Core i5-6500T Quad-core processor with a 2.5GHz speed that will surely boost your productivity on the go. Its 8GB DDR4 memory enhances the system's multitasking operations so you can gain more productivity and run complex applications easily. The 256GBSSD storage capacity gives enough storage space for storing and retrieving your critical data whenever needed. It is equipped with the Windows 10 Professional 64-bit operating system that helps you experience a complete user friendly interface and enhance performance & productivity of your business and work. Go ahead and enhance your work productivity with the HP ProDesk 600 G3 Mini Desktop.